All of this web and social data, in turn, is being “mined” by public health organizations and researchers in order to determine both the geographic spread of the virus, as well as the rate of infection. Some organizations are also asking the public to self-report how they are feeling. 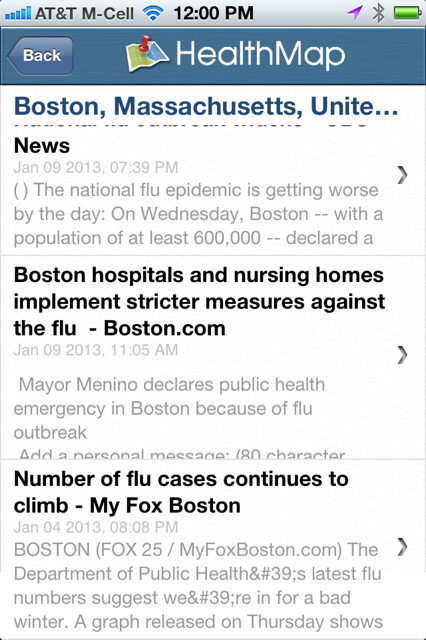 Below I outline five tools that are interesting aggregators of social flu data. 1. FluNearYou is a tool that allows the public to participate in tracking the spread of flu by filling out a survey each week. The survey is quite simple and asks the respondent if they have had any symptoms during the past week and whether or not they have had the flu shot either this year or last year. Respondents can include family members and the questions are asked about each person individually. 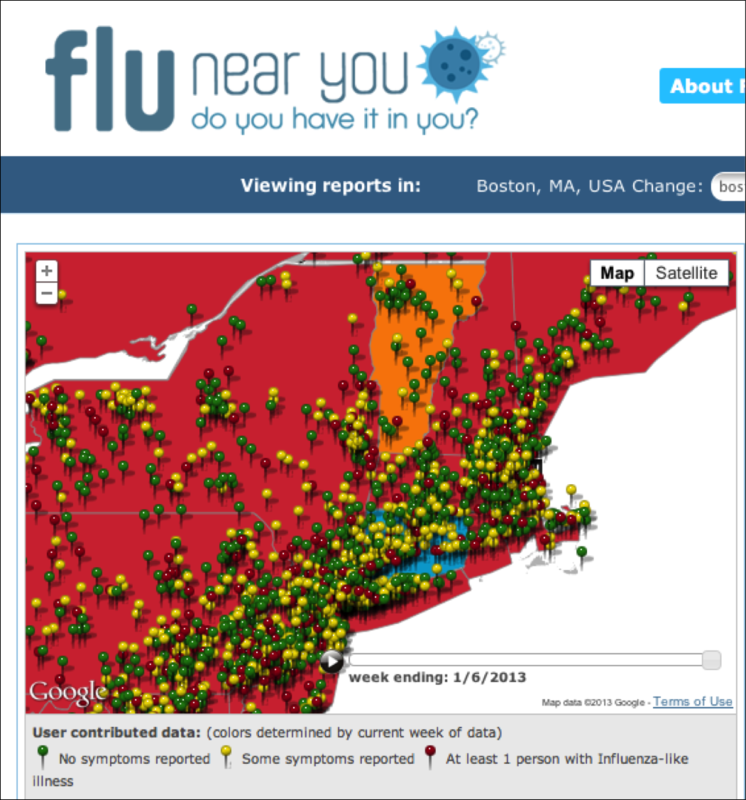 This user contributed data is then aggregated and displayed on a map with pins that are either green for no symptoms, yellow for some and red for “at least one person with Influenza-like” symptoms. 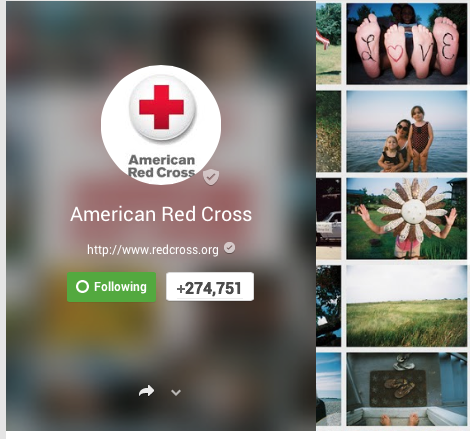 The pins are clickable and display the number of users in that zipcode that have reported their condition, but no personal information whatsoever. The number of participants in the state is displayed (1294 in Massachusetts) as well as locations and addresses where people can get vaccinated. Links to local public health agencies are also provided. People can also sign up to receive location-based disease alerts via email. 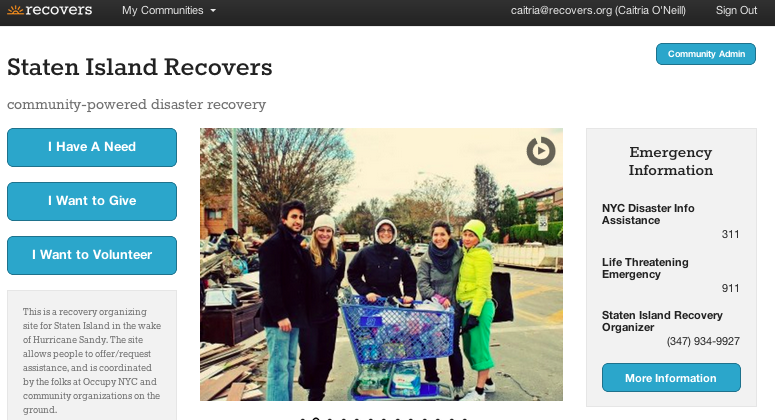 Social sharing of the site and its content is encouraged by the addition of prominently placed social media buttons. This site is administered by Healthmap of Boston Children’s Hospital in partnership with the American Public Health Association and the Skoll Global Threats Fund. 2. Google Flu Trends is another site that provides geographically based information about the spread of the influenza virus. Their data is aggregated from the search terms people are using versus self-reporting. In fact, the graph of the tracked searches (see below) related to the flu compared to the actual reported cases of the virus is so close that they almost overlap. Each week, millions of users around the world search for health information online. As you might expect, there are more flu-related searches during flu season… You can explore all of these phenomena using Google Insights for Search. 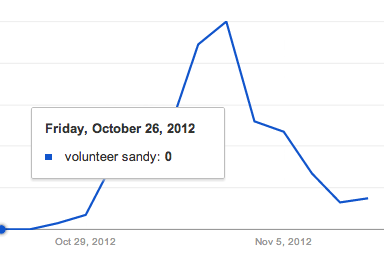 But can search query trends provide the basis for an accurate, reliable model of real-world phenomena? 3. MappyHealth is another tool that tracks keywords related to health but instead of using data from searches in Google, this system utilizes the Twitter data stream. Their stated reason for the site: “It is hypothesized that social data could be a predictor to outbreaks of disease. We track disease terms and associated qualifiers to present these social trends.” Although this blog post is focused on influenza, the MappyHealth site tracks 27 different categories of illness. They explain how all of this is done on their FAQ page. 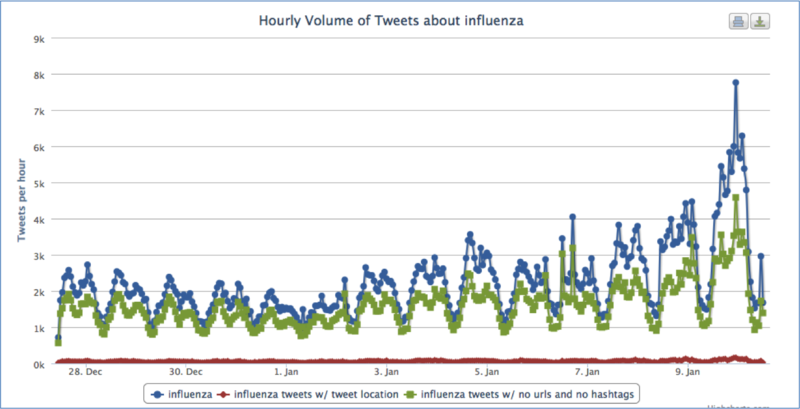 The graph below displays Tweets by the hour and day that are related to influenza. The last full day on the chart is January 9, which shows a significant spike in the number of Tweets on the topic. What is everyone talking about? The user can actually see the individual Tweets by clicking on any point on the graph. The associated Tweets then populate a table beneath the graph (profanity and all). The table includes the time, tweeter, complete text of the tweet, location (if available) condition match and qualifier match. The last two terms need a little bit of explanation. If someone states “I don’t have the flu” the condition match will state “flu” but the qualifier will state “don’t.” Location data is not included in all Tweets, however, MappyHealth does provide a sorting mechanism by location for those that do, and this content is displayed on a map. Another feature on the site includes a link to a “Realtime Twitter Search.” This link takes the user to an advanced search MappyHealth has already created that includes many different keywords Tweeters might use when talking about influenza, including: flu, influenza, h1n1, h5n1, H3N2, adenovirus, etc. This search is available for every illness category. This feature alone is worthy of a bookmark. 4. 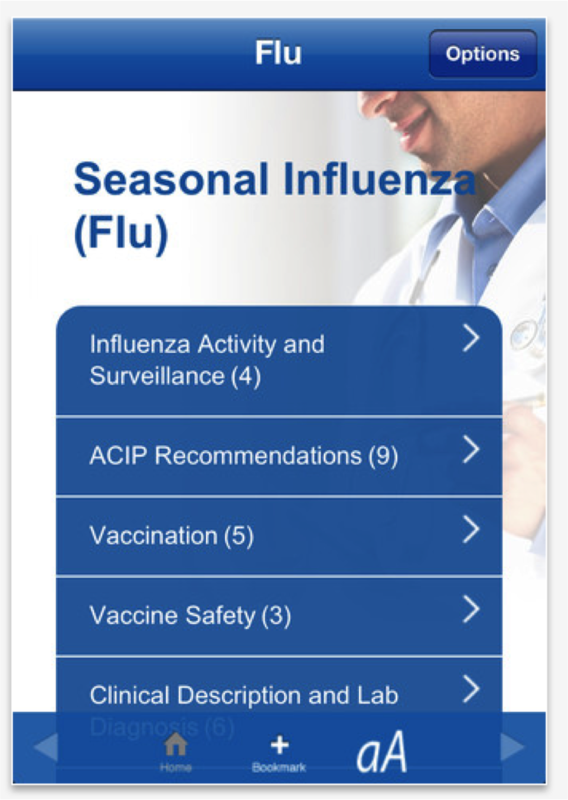 Not to be outdone, the Center for Disease Control has released a Influenza smartphone application. The intended audience is clinicians and other health care professionals, with a stated purpose of making it easier to find CDC’s latest recommendations and influenza activity updates. Some of the reviews, however, point to a few problems, such as dated information on flu activity. HealthMap.org also has a mobile application that includes all of the features found on their website, but I actually find the app easier to use. 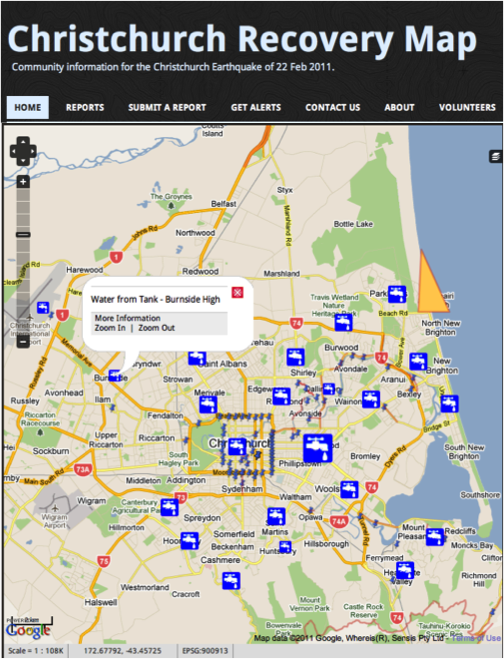 Using the smartphone’s touch-screen-zooming capability makes it is easy to hone in on specific locations and view all of the associated alerts. The alert content, however, is a bit heavy with information from traditional media. +1. #FluChat: News organizations are not only providing the public with information about the effects of the influenza virus this year, some are also providing a public health awareness function via their presence on social networks. On Thursday, January 10th, for example, a #FluChat was sponsored by @USATodayHealth. Have questions about the flu? Tweet them using #fluchat and we’ll get you answers at 3 p.m. ET today. @USATODAYhealth #fluchat What are the benefits of getting a flu shot besides keeping you well? None of these tools will help people feel better once they are already stricken with the virus, but they might alert the public to how prevalent the virus is in their community and possibly persuade folks to take preventive measures. Tell me what you think. How could your agency put this information to use? This post was also placed on the WMASMEM.wordpress.com blog.